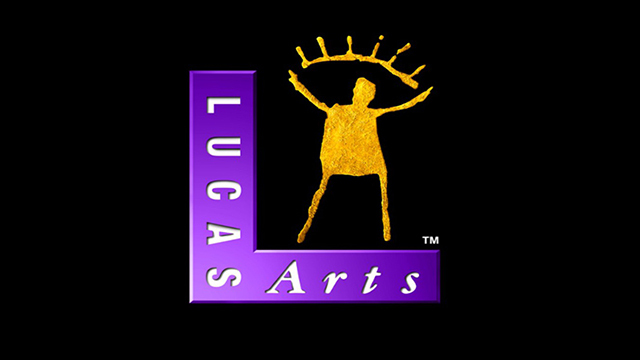 Today marked the closing of LucasArts, one of the coolest and greatest development studios of all time. Founded in 1982, LucasArts was founded by George Lucas as a way for him, and his company, to explore other forms of media. After a few hits on Atari platforms, LucasArts hit it big with their first adventure game for the PC. The legendary Maniac Mansion introduced players to the company’s SCUMM engine, which became a staple of all LucasArts adventure games until the mid 90s. Now mainly known for being the studio that makes Star Wars games (and Fracture), the studio has one of the best and most unique catalog of games of all time. Now, the list below is by no means an organized list of what we think their best games are. This is more of a nostalgic list; the games that have stuck with us. So please, bear with us through a trip down memory lane, courtesy of LucasArts. We’ll miss you, big yellow dude making an eye with his arms. I won’t lie to you guys – I’m a bit of a late adopter to the sheer brilliance that is the original Secret of Monkey Island. No, I didn’t experience this gem until the Special Edition made its way to the Xbox Live Marketplace in 2009. Despite that, Monkey Island blew me away. The specific impact Monkey Island had on me can’t be overstated. For a good chunk of this console generation – at least the first half, if not more – most console releases were drab, over-serious affairs that seemed allergic to things like joy, fun and color. We lived in a world full of gun-metal gray and macho badasses who couldn’t crack a smile if their life depended on it – at least, it felt that way. I love games too much to abandon the hobby entirely, but I’d be lying if I said the dreariness wasn’t starting to take a toll. Games just didn’t seem as fun anymore. Then, the second coming of Monkey Island. From the word go, The Secret of Monkey Island is a bright, cheery affair that knows better than to ever take itself too seriously. Piratey protagonist Guybrush Threepwood was an endlessly optimistic, bumbling fool worlds away from the grim seriousness of the Marcus Fenixes and Soap MacTavishes of the world, and he inhabited a world that was just as endlessly goofy and over-the-top ridiculous as he was (rubber chicken with a pulley in the middle. Enough said.) And the colors. Oh, goodness, the color. By bringing a beloved franchise back from the dead for a new audience, LucasArts and Monkey Island were a sorely-needed reminder that it was possible to make games about more than headshots, killstreaks and K-D ratios. It was a reminder that, before anything else, games should be fun. Sure, I was (very) late to the party on Monkey Island (and missed out on the golden age of LucasArts adventure titles entirely). Still, the Special Edition was a reminder of what makes this hobby of ours so special when I needed it most. For that, I’ll be forever grateful to LucasArts. Godspeed. And don’t forget – You fight like a dairy farmer. Folks, meet the game that got me into PC gaming. When I was a wee lad in 1st grade, my dad brought me to a PC expo. I remember looking at a vendor’s table filled to the edges with PC games. We walked out of there with a joystick, this Top Gun game, and a copy of Dark Forces. Naturally, the game made quite an impression on me as a child. Blasting Stormtroopers was all I wanted to do, and by golly did I do it. But living out my fantasy of being in the Rebel Alliance wasn’t all the game did for me. It was, at that time, the darkest game I had ever played. I mean it, Dark Forces really instilled a sense of dread and horror at what the Empire could do. And it was all thanks to the game’s second mission on the planet Talay. The Empire tested its latest superweapon, the Dark Trooper, on an unsuspecting Rebel base. Everyone there was massacred, and remnants of the battle were present when the player, as Kyle Katarn, investigates. Charred corpses littered the streets. Houses pulverized with signs of heavy weapons fire. This wasn’t Star Wars, this was proper war. Imagine a seven-year-old playing through that for the first time. Sure, the graphics were primitive, but that’s what made it even worse. My young mind had to fill in the blanks that the now-ancient graphics engine couldn’t render. It’s the kind of thing that turns kids into crummy games writers. Thank you, Dark Forces, for introducing me to PC gaming and sucker punching me in the gut. I’m pretty sure that’s classified as child abuse, by the way. Barring an “American Graffiti” game (which is now but a lost dream), the Star Wars games are about the truest-form LucasArts titles out there. With that said, Star Wars Episode I: The Phantom Menace is easily one of my favorite games, both within the category of LucasArts games, and when considering all the games ever. I’ve always kind of been obsessed with lightsabers, and the peak of my obsession occurred around the time “The Phantom Menace” hit theaters in 1999. I’m not sure how, but I came to own a copy of the movie’s PC game, which I proceeded to play incessantly. It was certainly not a “good” game by today’s standards, with limited controls, simply awful AI, and some truly wonky visual glitches, but by god I had fun with it. Though I never did enjoy the sections as Queen Amidala or Captain Panaka, playing as Qui-Gon and Obi-Wan was about as close to fantasy fulfillment as any game has given me. Wielding a lightsaber, deflecting blaster shots, force-pushing battle droids, and fighting Darth Maul were all elements I looked forward to getting back to every day while I wasted my time in school. I’ll admit that nostalgia may be playing a big role here, but no other Star Wars game has reached that part of my soul, and even playing it recently (as I have), my childhood comes rearing back. In a square room with dual-monitor equipped computers lining the walls, a group of 25-some odd students are playing videogames at school. Twitchy camera movements and barely recognizable humanoid characters holding lightsabers cover the screens. Frustrated teenagers yell at each other across the room. “Who is that? !” an anonymous voice shouts. Then the final blow is delivered and cheers erupt. This was the case for my high school years and the computer classes I took there. Excessive use of colons aside, Star Wars: Jedi Knight II: Jedi Outcast may not have been a perfect game, but it was a game that I will never forget. I’ll confess that my experience with the game was with the multiplayer portion exclusively, but that might have been for the better, as you’ll soon find out. I’ll be blunt. I wasn’t one of the “cool” kids in high school. I enjoyed pop culture, videogames, superhero movies, and reveled in my obsession with Lost. Naturally, I flooded my class schedule with as many computer related courses that I could (Hi, Mr. Rogers!). These classes were a break from the algebra, the history, the psychology courses and the like. More importantly, Friday: The Holy Grail of days. Friday was a “free day,” granting us, the students, the choice to do whatever we liked. Want to mess around in AutoCAD? Go ahead. Want to watch (school appropriate) videos on the internet? Sure. Play videogames over LAN? Definitely. Of the small selection of games, there was Star Wars: Jedi Knight II: Jedi Outcast. This is one of the few Lucas Arts games I’ve actually played (I love you, too, Star Wars: Bounty Hunter), but it’s one that has given me some great memories of teeth-grinding, down to the nail moments in multiplayer, coupled with equally nerve-racking yelling across the room, trying to figure out who just killed you, only to find out he was sitting next to you the whole time.